Felix Stachelhaus grew up in a family of musicians in the Ruhr area during the structural change from coal and steel industry to a cultural metropole, surrounded by a whole region searching for it’s identity and concerts, theatre and dance in old factories and collieries. He got in contact with music very early, learned drums, trumpet and piano and started songwriting, composing and arranging. Besides, interdisciplinary projects with dancers and theatre became an important part of his activity. 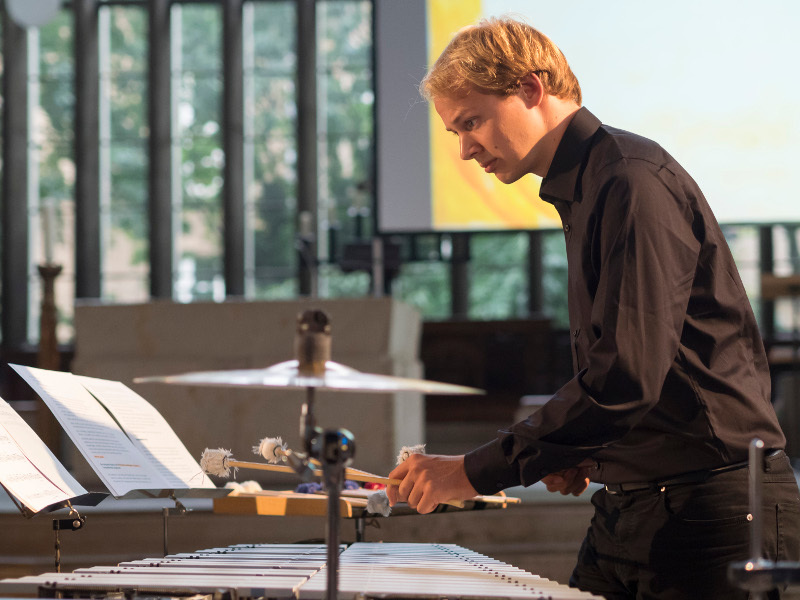 His enthusiasm for contemporary music and different musical styles led him to his Bachelor in drums/percussion at location Wuppertal of HfMT Köln with Prof. Christian Roderburg (classical/contemporary), Mathias Haus (jazz vibraphone) and Mirek Pyschny (drum set) and to a lot of masterclasses (Katarzyna Mycka, Tatiana Koleva, Gordon Stout, Eric Sammut, Tony Miceli). During these studies he became a demanded soloist, orchestra and chamber musician in the Rhein/Ruhr region. He would like to find a way to change the traditional ritual of classical concerts. His aim are programmes based on a topic or question, bringing together different styles, integrating the possibilities of room, movement, texts and technology assembled to an artistic concept. Jaanus Siniväli is a double bass player and performer with interest in DIY electronics and electronic music, which has led to simultaneous use of double bass and modular synthesizer, also longtime interest in western philosophy and more recently eastern philosophy has led him to game pieces and game theory, but also to questions regarding functionality of music. Worked 6 years as a double bass player in The Symphony Orchestra of Theatre Vanemuine in Tartu. Obtained his BA degree in Double Bass from EAMT (Estonian Academy of Music and Theatre) with Kaupo Olt and Mati Lukk. While getting the decisive impact towards contemporary-, experimental music and free improvisation from lessons with Taavi Kerikmäe. Kristin Kuldkepp completed her Bachelor studies of classical double bass in Estonian Academy of Music and Theatre in 2016. She has played in various orchestras (such as Estonian National Orchestra, Animato Fundation Philarhmonic Orchestra, Tallinn Baroque Orchestra etc.) and ensambles, also performed as soloist. She has participated in different master classes of double bass, including Alberto Bocini, Nikita Naumov, Pedro Vares and contemporary music workshops (most important Camilla Hoitenga’s workshop of performing the Kaija Saariaho’s music). From 2015 she started to study viola da gamba with prof. Markus Kuikka. 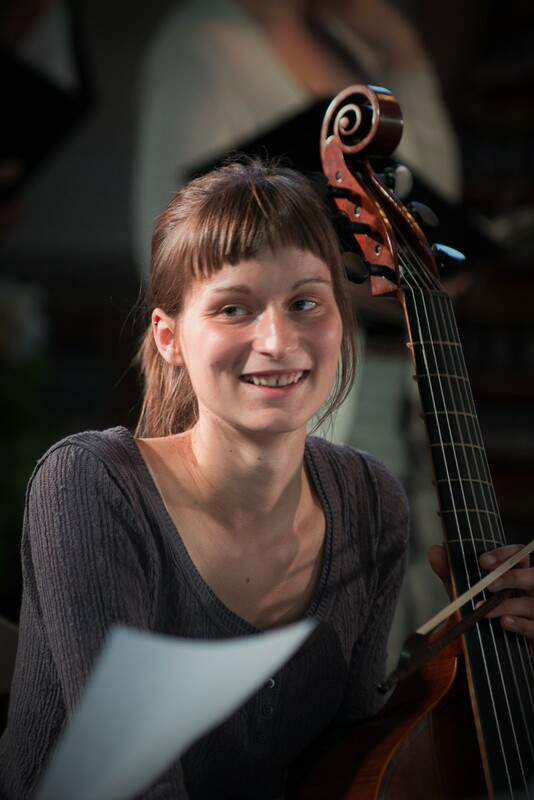 She has worked with Estonian young generation composers (Krõõt-Kärt Kaev, Ove-Kuth Kadak) to find different extended techniques for double bass and also tried to encourage them to increase the repertory of the instrument. The enormous impact for her was the Alexander Technique course with Maret Mursa Tormis, where she discovered the importance of the free movement of the body for playing the double bass and for overall existing. As the main interests for her have always been music from baroque and renaissance area with contemporary music and free improvisaton next to it, she has had hard times to choose which way to go. Finally, with applying to the CoPeCo master programme, the right decison has been made. She tries to understand of how world of sounds and noises affects human-beings and how music could help them to get know more about themselves, their habitudes and subconscious reactions. She tries to manipulate with different sound-objects for reaching to the primal instincts of the human and finding the meaning for the phenomenon of existence. Maria Jönsson is a flautist from Lund, Sweden. She began playing the flute at the age of 9, She then studied classical flute with Ann Elkjaer at Musikhögskolan Ingesund, Karlstad University. She completed her undergraduate studies in Reykjavi­k, Iceland at Listahaskoli Islands in flute and music pedagogy with Martial Nardeau. There she also studied other woodwind instruments, clarinet and oboe. Maria has a strong passion for contemporary music and teaching, where her final thesis for her Bachelor investigated the education of extended techniques for flute in Iceland. She has been exploring the realm of experimental composition with graphic scores and strives to push the limits of what she can accomplish on the flute. One of her dreams is for everyone to share her love of contemporary music and to at least give it a chance and to not base opinions on preconceived notions of contemporary music. This is very important to Maria as she wants to integrate contemporary music into her teaching and wants to reach out to an audience who doesn’t usually listen and experience contemporary music. 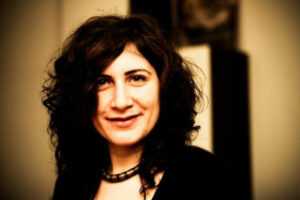 Romina Roman is a composer and pianist born in Buenos Aires, Argentina. 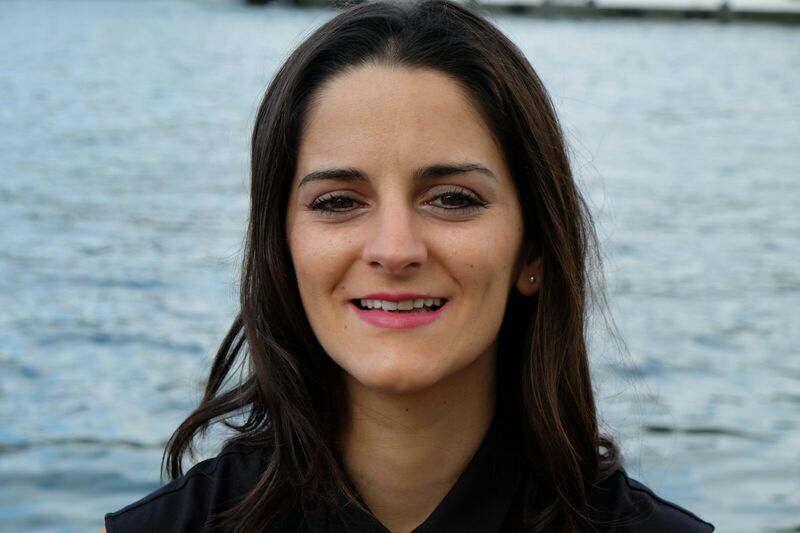 After studying traditional classical piano at the Conservatory Julian Aguirre of Banfield, Buenos Aires, she decided to get involved in composition by studying this domain at the National University of Arts (UNA), Buenos Aires, Argentina. Romina has participated as a musician in theatre, concerts, varietÃ©, music festivals and operas. Nowadays she works in environmentally sound design and composition, improvisation with electronics, mechanical objects and piano, and in the sustainable development of musical performances. 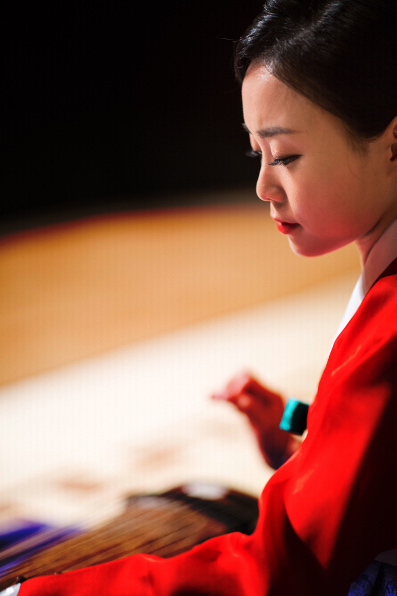 Educated in National Middle and High Schools of Korean Music, Saeyoung completed her bachelor’s degree of Korean Music as a Gayageum player at Seoul National University, under the teaching of Ji-young Yi. She also studied English Literature as a minor during her bachelors. Saeyoung loves experiencing new cultures which has led her to travel the World, and Europe extensively. To further experience new culture, Saeyoung was an exchange student at Stockholm University, Sweden between 2014 and 2015. Coming in to contact with plethora of diverse cultural experiences in society, music, media and literature from visiting many countries in Europe during this period have led her to dedicate herself to new music. As a musician who is playing a Korean traditional musical instrument, the Gayageum, she is now seeking to broaden her own musical genre by combining gayageum and contemporary music. She is looking to accomplish this by working on a project to create interactive music using computer technology and the traditional Korean sounds of the Gayageum. 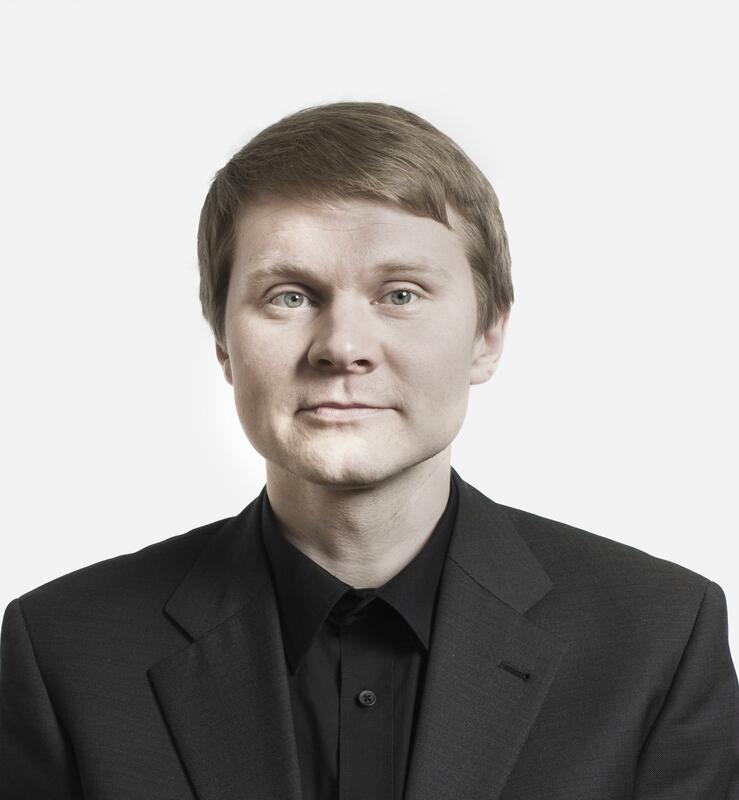 Teemu Mastovaara, a video game and Alexander technique enthusiast, started his musical career in 2001 by beginning to play cello at Lounais-Häme Music School in Finland under Timo Oikkonen. 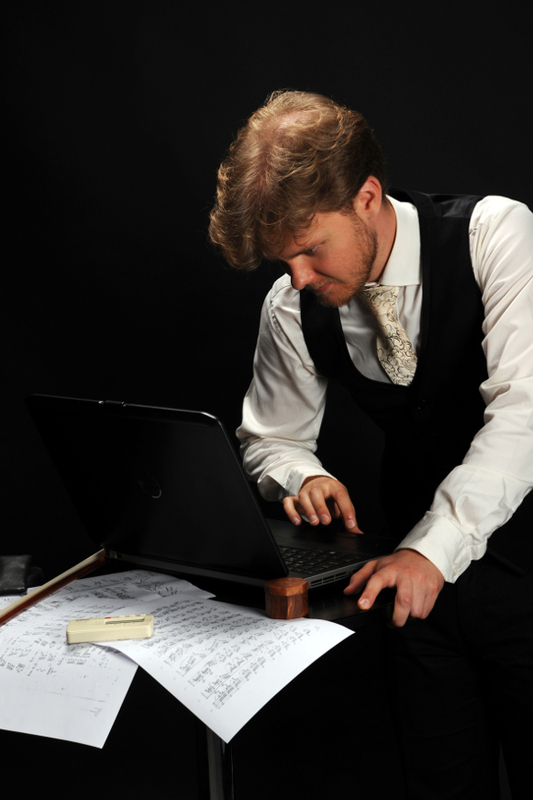 In 2009 he continued to Turku AMK to graduate as Music Educator (cello) in 2014. His teachers were Timo Hanhinen, and Erkki Lahesmaa. He has also taken part in master classes by e.g. Lauri Angervo, Robert Irvine, Arto Noras, and Roi Ruottinen. In 2015 he was awarded a diploma for his multidisciplinary and international orientation by Turku AMK. With Mastovaara, composition has always travelled hand in hand with playing. He has worked on his compositions e.g. with Henry Foures, Seppo Pohjola, Kim Helweg and Fredrik Schwenk. Mastovaara has also completed Supplementary Studies in Musicology at Turku University in 2016. His Bachelor’s thesis explored natural sounds used in Verisäkeet album by extreme metal band Moonsorrow. 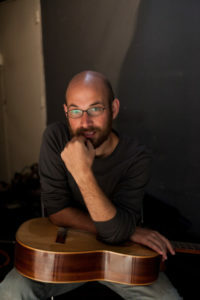 Mastovaara is a borderless musician. He has e.g. performed as soloist of Turku Philharmonic, is the founding member of multi-genre group Fourtune Cello Quartet, and has composed music for theater. He has worked with dancers and visual artists as performer and composer, played on multiple albums, and performed on numerous festivals in Finland (e.g. Hanko, Naantali, Nagu, Rauma, and Turku), around Europe, and in Japan. 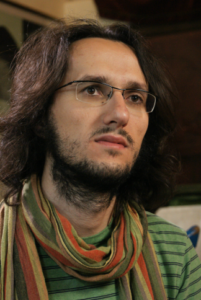 In CoPeCo, Mastovaara is looking forward to develop his skills in composition and electronics, and gain musical influences to complete his Master’s project relating to a stage performance with a soundscape of different musical genres, and dancing influenced by martial arts movements. Performing with international groups and ensembles in Marseille, Koln/Bonn, Tarragona, Hamburg, Lyon, Antwerp, Brussels and Italy using distortion pedals, electric bass, megaphone, clarinet bell and casio keyboard. 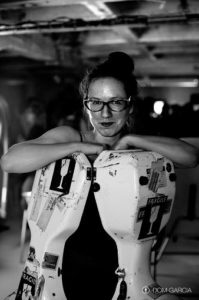 Performer, composer and improviser based in Lyon and Montréal working as a freelance musician between Europe and the Americas. Currently a doctorate student at the CNSM in Lyon in the composition department under the guidance of Philippe Hurel and Laurent Pottier. Recently was awarded a prize by the SOCAN Foundation for S’offrir, a piece for viola and cello written during the CoPeCo studies. Hara Alonso is working as freelance musician combining the performance and the pedagogic side. 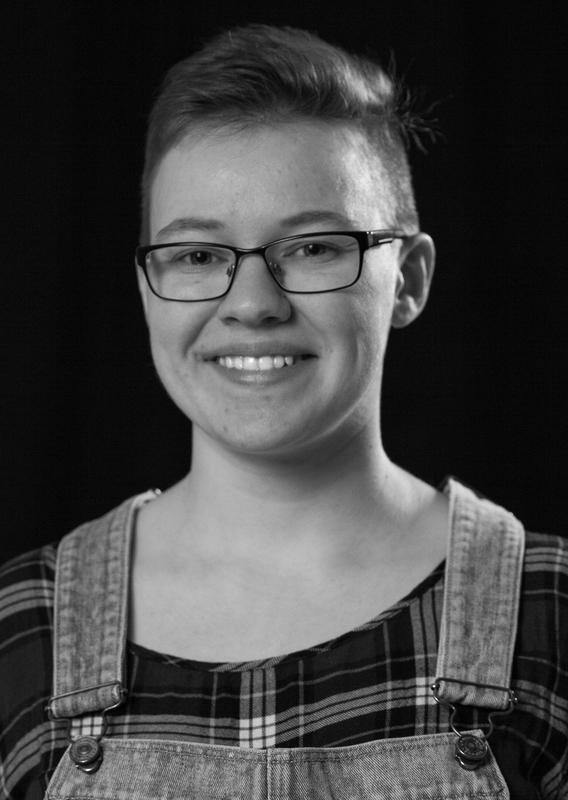 Currently she lives in Stockholm where she is sound designer/researcher in the circus company CirkusPerspective. This project is a joint artistic research within KTH-Royal Institute of Technology and the Stockholm University of Arts. 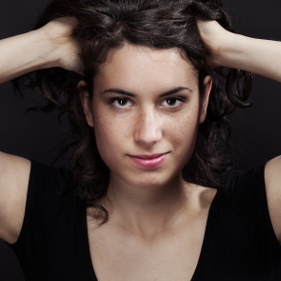 She is also an active performer both in piano and electronic music. 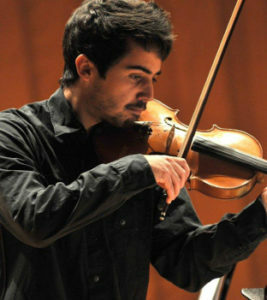 Apart from that Pedro has been working as a freelance violinist and composer, playing in different festivals in Germany, e.g. at ZKM, in Munich and Dortmund “Zither auk Zeche festival” and collaborating with ensembles and improvisation collectives in Germany and Spain. 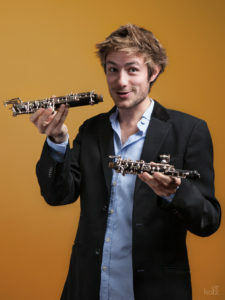 The first version of the piece was performed in Hamburg at the CoPeCo Final concert.